Our activity is selling energy-saving technologies (CHP units) and supplying heat and electrical energy with the highest possible efficiency during its generation. This is the contribution of the TEDOM a.s. product to the environment, namely saving the primary energy sources and reducing the greenhouse gas emissions. 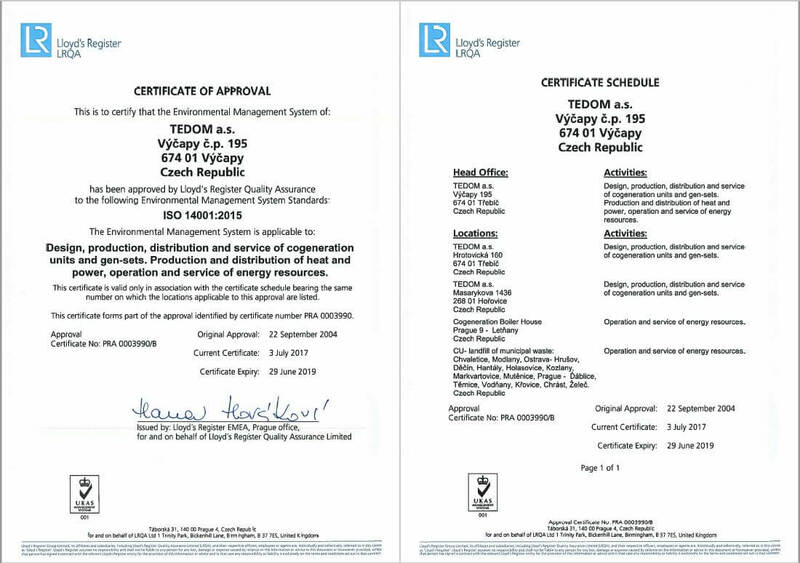 TEDOM is also determined to fulfil the requirements and expectations of the customers concerning the quality of our services that it ensures. One of the main factors behind the successful activity of the company is systematic and transparent management of work at all stages. The success is above all driven by the implementation and maintenance of a control system, that focuses on permanently improving the activity and mutual fulfilment whilst respecting the needs and requirements of all the cooperating parties inside and outside the company. 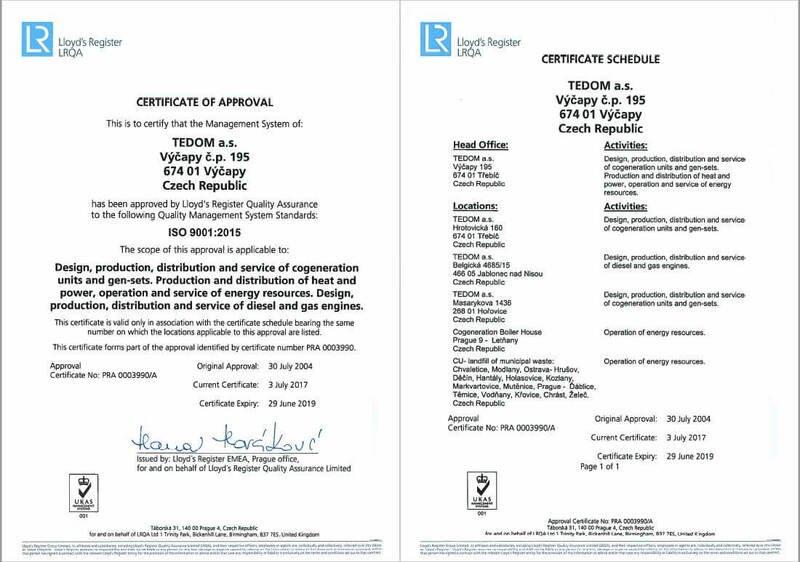 ISO certificates of TEDOM a.s.